One of our group was walking her dog on the beach on Monday morning. 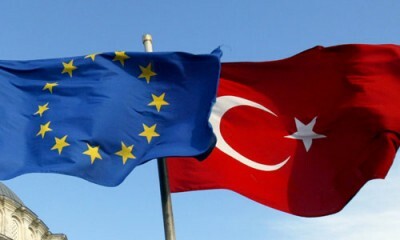 It was 21 March, one day after the agreement between the EU and Turkey had come into force. From now on arriving refugees faced the prospect of being returned to Turkey. From the beach she saw a packed refugee boat making slowly and with difficulty for the shore. Soon after, one of the German police rescue boats turned up and slowly approached the refugee boat. As it got closer the refugees became more and more agitated, some were standing and a few went over the side into the sea. They were shouting that they would not get on the patrol boat and that they were not going back to Turkey. Then a man stood up holding a child and a fuel can and began to throw the contents over himself and the people around him. Then with a cigarette lighter in his hand shouted that if the rescue boat came any nearer he would use the lighter. The German boat backed off with the crew trying to re-assure the refugees that they were there to help them and not to return them to Turkey. Then the patrol boat lowered a very small inflatable with 2 policemen and they slowly approached the refugee boat and eventually passed a rope. With this the inflatable towed the refugees to the shore. There were 52 Syrian refugees in the boat of whom about a third were young children. The German policemen from the dinghy were distressed when they landed and one of them just lay on the beach, crying, saying over and over again, that this wasn’t what he was trained to do; he was here to save lives, not to be seen as a threat and danger to the refugees. Some of the refugees saw this and went over to comfort and thank him. It was a very moving scene. There was no evidence that the contents thrown from the can was petrol. There was no danger that the refugees would have been incinerated but at the time this was not known. It is distressing to think that episodes like this, with deadly consequences for the refugees are more likely now with the EU/Turkey pact. We know from arriving refugees that the Turkish police and army are now regularly harassing and attacking refugees waiting to cross over and that even when on the sea the chance of push back by the Turkish coastguards is greater than ever before. All this is being sanctioned by the pact and indeed Turkey is under pressure to slow down and even stop the refugee traffic to the Greek frontier islands. Of course refugees are going to resist. Making it to Samos has always been expensive, difficult and dangerous for refugees. It has now become more so. But it is the almost unfathomable desperation which fuels many in their determination to get to Greece. If you make it, you are not going to give up the ‘prize’ easily. Who knows what forms their resistance will take in the future but what happened on Monday gives some indication of where their desperation might lead. The extent to which the pact has any chance of being implemented is going to fall on the shoulders of a range of state and possibly, NGO agencies and their workers. The NGOs have played a major role in sustaining and helping refugees over the past 6 months on Samos. It is not clear if this will continue not the least because the EU seems prepared for the NGOs to withdraw if they do not accept the new policies. The pact marks a clear punitive shift to the arriving refugees. This is more than evident in the locking of the Samos camp on Monday 21st March. The gates are now locked closed. The refugees are incarcerated. Mamoud, who features in ‘Reasons for Leaving’ phoned Tuesday morning from the camp. He and all the Pakistani refugees are now locked in. They are being told nothing but they know they are being seen as a special group. The lack of information is ‘killing us’ he said. ‘It is the worse thing’.They fear being returned to Turkey. They feel powerless. They are depressed. They are frustrated and they feel utterly isolated from any support. Closed camps and desperate refugees is an explosive mixture. We are fearful for the refugees in Samos camp. It has never been a safe place but it is now being made more dangerous each day the lock-down continues. And be sure the attacks in Brussels and Paris (although not Ankara and Istanbul) are going to harden the punitive resolve of the authorities towards the refugees.”There is an urgent need to strengthen the external borders of the European Union,” Mr Valls [French prime minister] told French radio, adding that heightened vigilance was required to stop people crossing into Europe with false passports, as the group known as Islamic State has “stolen a large number of passports in Syria” (March 23,BBC News). There are many consequences of incarceration – all bad – and one wonders for how much longer a rescue boat crew can tell newly arriving refugees that they are there to help and not to hurt them. Saving them from the sea and then taking them to the hell of a closed camp and processing for deportation challenges any sense of the meaning of helpful. And when it comes to the NGOs working on Samos, such as Medecin sans Frontieres (MSF) and Save the Children, these dilemmas are magnified given that they often have clear principles which forbid them from co-operating or assisting with the mandatory incarceration of refugees. But if they withdraw, what then for the refugees? These are the first days of the pact. Most of the resources and personnel needed to implement the pact are not on the island yet. At this moment, we expect business as usual by which we mean confusion, chaos and constant shifts in practice. The NGOs are unhappy but they have not yet had time to work out a response. The same applies to all the activist and voluntary groups who face the challenge of how to help the refugees without colluding with incarceration and deportations. And also fundamentally how to help the refugees when the gates to the camp are locked. But the locking of the camp sends out a clear signal.